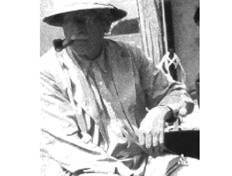 Jung's journeys into Africa were an attempt to look critically at his own assumptions, but they had the effect of reinforcing his European cultural transference phantasies about "primitives", "the unconscious" and the individuation process. A discussion of Jung's journeys into Africa, and particularly of his African dreams, helps us to becomeaware of the unconscious images that are carried in our own colonial histories. Senghor's notion of negritude and the Zulu notion of ubuntu area way of thinking about our own individuation that is more interpersonally situated, ecologically grounded, and probably closer to our experience. I hope that this lecture might inspire thinking about the Australian experience and contributionsof Aboriginal culture to a wider understanding of the individuation process than is found in Jung's work. Roger Brooke, Ph.D., ABPP, is Professor of Psychology at Duquesne University, Pittsburgh, USA, and a Board Certified Clinical Psychologist with a private practice and a hospital consultancy. His formative professional years were spent in the upheavals of South Africa in the 1980s. From 1990 to 1993 he was Director of Training and the Psychology Clinic at Rhodes University, South Africa, from where he was invited to his current position. From 1994 to 2007 he was Director of Training in Clinical Psychology at DU. In 2005 he was elected to the Board of Directors of the American Academy of Clinical Psychology. In 2006 he became one of only three non-analysts to have been elected to the Inter-Regional Society of Jungian Analysts. He is author of Jung and Phenomenology and editor of Pathways into the Jungian World. His work integrates wide ranging theoretical and clinical perspectives; his presentations are known for their theoretical clarity and clinical relevance.